If he was in Nigeria, some people will say "respect your host", others will say his father is from Cameroon, and some will say he can't be trusted for whatever stupid reason. Nigeria is a sick country. 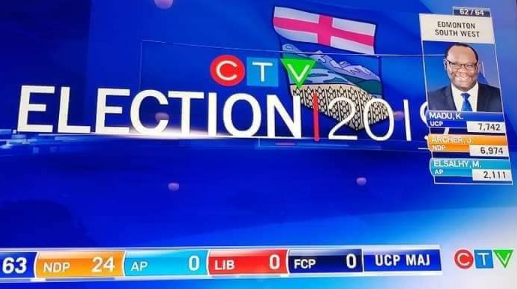 Kelechi (Kacyee) Madu has won Edmonton-South West in tightly contested battleground. 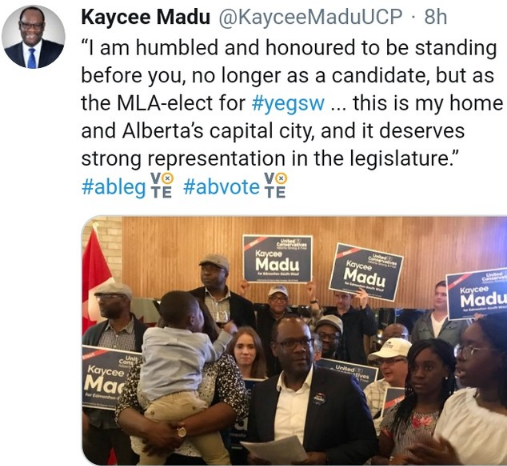 He made history by being the first African, Nigerian-Canadian to be elected as a Member of the Legislative Assembly of the Province of Alberta (MLA) in Canada's history.